The following report on five pioneering immersive media projects — a report detailing their viewership, audience engagement and creators’ best practices — appears on Filmmaker courtesy of StoryCode, where it is crossposted. Where is the business model? What are the audience numbers like? How engaged are users/what is the impact? Doesn’t this just distract us from good storytelling? This article takes a deep dive into audience numbers and behaviors for a few key immersive media projects, and, more importantly, it puts the spotlight on the top practitioners in an emerging craft. Beyond the numbers, brilliant new voices and audience experiences are surfacing in multi-platform stories, in social films, and in online documentaries. Here you find the early contours of what may become the foundation for a new generation of storytellers. Transmedia writer and director Lance Weiler predicts that a “more social, more connected, more personalized wave of media” is coming, in stride with the platforms and practices of the new generation. But, like any new media form, there will probably be a lot of borrowing from older forms and audiences will take a while to warm up. Even motion pictures were initially not great at commanding audiences’ attention. In the era of silent film, movies were often called “chasers” because they would play last at a Vaudeville show, encouraging folks who found them boring to head for the exit. And, appropriately, we started by looking at how audiences stay – and leave – online interactive stories. First we surveyed a number of interactive media producers, looking at how they are currently and would eventually like to study audience immersion. The most significant statistic we found is that, on average, audiences for web-based interactive stories consumed 20% of the narrative content, spending an average of about 5 minutes on a project. While this is much better than your typical website, it can be discouraging for a creator to think that their deep online storytelling experience with a big payoff at the end will only really hit a smidgen of their audience members. There was general agreement that better tools should be developed to measure the depth of audience engagement and what actions the audience took as a result of the experience. Most creators are using Google Analytics for measuring user behavior. On average visitors of immersive media projects on the web consume approximately 20% of the available content. On average users spend 5 minutes on the site with 75% of users being new, 25% being repeat. Overall, makers realized an audience size of 10K to 20K for “indie” productions and for more mainstream/better funded productions, 100K to 1m. However, some projects really seem to have succeeded in capturing audience attention, so we decided to speak directly with their creators. What follows are a series of interview summaries and best-practices for attracting and engaging with online audiences in immersive narratives. The following five profiles have their roots in a wide range of media genres: science fiction novels, cinema verite, horror films, and cause-based documentaries. For each project we highlighted one “super power” each of them excelled at in telling their narrative through interactive platforms. After these profiles we summarize the best practices we gleaned from these interviews. Produced by the CFC Media Lab, in co-production with TIFF, and starring David Cronenberg, BODY/MIND/CHANGE is the first web interactive experience that generates a 3D-printed object based on data collected from the player. 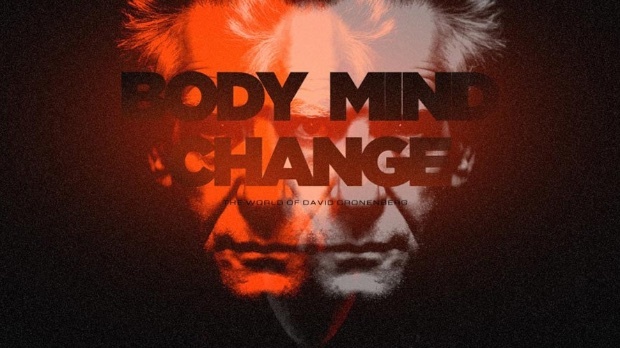 BODY/MIND/CHANGE is the digital extension of TIFF’s exhibition “David Cronenberg: Evolution,” and immerses audiences in a “Cronenbergian” world inspired by the film Videodrome, re-imagined for the 21st century and brought to life across two platforms – the Web and the real world. Longtime transmedia producer Lance Weiler was the creative director and experience designer for BODY/MIND/CHANGE, a psychological thriller about trauma and the power of memory. The story is narrated by an artificial intelligence bot, Kay, who is constantly asking the audience for information on their own formative memories. The experience culminates in a trip to the Cronenberg exhibit where audiences can collect a 3-D printed model of Kay, shaped by their responses to her questions. Lance reports that about 4,000 people signed up for the experience and between each segment they saw about 50% of the audience drop off, culminating in about 500 people finishing the 45 minute experience and collecting their “Kay” at the exhibit. From these numbers you’re looking at average time on site being around 20 minutes. Very high for an interactive narrative. This can be attributed to a few unique things about the project. First, it had a sense of scarcity in that audiences had to sign up and get an invite sent to them before they could experience the media. Also, there was a strong draw to the star, David Cronenberg, who in a sense, has his own built in fan base. And finally, you can’t overlook the suspenseful, cinematic pull of Weiler’s films. A trained screenwriter, Weiler stands out in the interactive storytelling community as a master of story architecture, suspense, and character development. 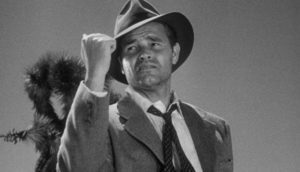 His suggestions lean heavily on the foundation of cinema. Let the story hold your audiences in their seats. Since web audiences can get distracted during playback, design for that by tracking how often they leave your story. Find an emotional way to bring them back in with a plea from a character or a connection to another player/viewer. In BODY/MIND/CHANGE it was a tweet that flipped what the user had said. Encourage Criticism. Where are this medium’s reviewers and critics? We need to have an active community of critics just like films have. HOLLOW is an interactive documentary and community participatory project that examines the future of rural America through the eyes and voices of those living in McDowell County, W. Va. It is one of the most well-known interactive stories in the US, being the first documentary film to play out as a collage of video profiles, data visualizations, and interactive landscapes all driven by the simple web mechanics of scrolling. The goal of all of these techniques was to pull the audience deeper into the emotional and statistical landscape of many small towns struggling to survive. But how do you measure such immersion? Elaine McMillion and Jeff Soyk shared HOLLOW’s traffic analysis with us: “Since launch, roughly 18 months ago, the project has garnered approximately 141K Sessions / 253K Page Views / Time on Site: 5:37 / Bounce Rate: 65%.” Picking through these numbers, Elaine was most surprised by the average time on site being much longer than she had anticipated. “Time spent on the site seems to be the best statistic we can pull to determine how immersed our audience was, even though I believe that’s not a good meter for immersion,” she notes. Elaine felt that other factors like word of mouth, press coverage, and feedback at events also helped her understand how immersed the audiences were in the story. The HOLLOW team has also held over 60 events that are a blend of live storytelling and an interactive walkthrough of the piece. For the story capture they partnered with Cowbird to create a mechanism for attendees to tell the story of whether they stayed, left, or returned to their hometown. They also created a campaign on Instagram called #HollerHome. Instagram users could tag a photo with this hashtag and share what reminded them of home. This campaign launched before the piece did. Move away from contained one-off experiences. Consider unique pathways to story and actions over time and across media. Use crowdfunding to build audience. It can form the initial base of your most loyal fans. Think about the “choreography of timing”. How and when you share narrative content, what your audience can do with it, and then how you react to that on the fly. Tell a compelling story. Don’t just give users a bunch of options without guidance. Design for mobile users. Most of your users will first visit your project on a mobile device so you’ve got to have a great mobile user experience. Don’t forget about great sound design. Compelling audio can be a great way to add immersion to an experience. 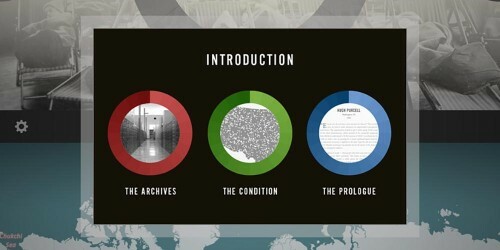 THE SILENT HISTORY is a groundbreaking interactive novel that uses serialization, exploration, and collaboration to tell the story of a generation of unusual children — born without the ability to create or comprehend language. Told in a series of short, text chapters (i.e., commuter friendly,) this novel also invites its readers to help created extra location-based chapters that extend the narrative to experiences in locales around the country. 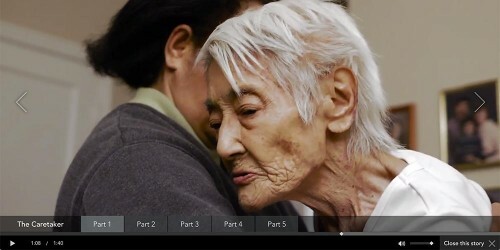 The story is beautifully written and winner of a 2013 Webby Award. Quinn and Horowitz did measure audience reaction to various forms of freemium, making more or less content free and seeing how many went on to purchase. Skip the Grazers. Many people were grazing the content, looking at only part of the free video content or chapters. These aren’t the kind of audience you should care about. It works better for income and design focus to put most of the content behind a paywall and really service those who are interested in the narrative. Design the interface for serialization. The team came up with a pie-chart like visual for the chapters that let audiences easily see what chapters they had access to and which ones were coming up. This created anticipation and delight when they unlocked a bonus chapter at the end of a section. IMMIGRANT NATION is a series of documentary films and interactive web platform exploring the immigrant experience in the United States. The platform allows audiences to briefly tell their own immigrant story (in pictures and words) and then easily search for stories with similar thematic lines and origins. The site also hosts several short documentaries created by the project team, highlighting the curious corners of the immigrant experience from marathon runners to mixed marriages. Beyond the website, the IMMIGRANT NATION team has developed a number of live experiences, including workshops on Ellis Island, school visits, and a permanent museum exhibit. Estimating the overall audience for the project is difficult because short films from the project have been showed on PBS’s POV.org and The New York Times’ Op-Docs section, neither of which have released viewer stats, but which can be estimated to be high six to low seven digit impressions. In addition, Theo Rigby estimates that the average session on the website was initially seven minutes and is now around four minutes. But more telling for Rigby has been the ongoing Facebook audience which includes over 11,000 followers and active commenting on his team’s regular posts. This crowd was created, in part, by live events in conjunction with the film, which Rigby estimates were experienced by over 5,000 people. For instance, on Ellis Island the production team set up a booth where visitors could create immigration stories using the project website. For Rigby this ecosystem of film/events/social media fed an expanding audience that kept the project evergreen. His social media platform has become the first stop for the best of the 700+ user-generated immigration stories produced on his platform. Every week, his team culls their favorite user-generated stories to post on Facebook. Start small. “Do something that is really cheap and easy to beta test.” Use social media likes and comments as a gauge to see if it’s working, pivot if it isn’t. Look for partnerships. You need partners who “will embrace the technology and the outreach.” Generating an active, fairly large Facebook following was key in bringing partners to the table. 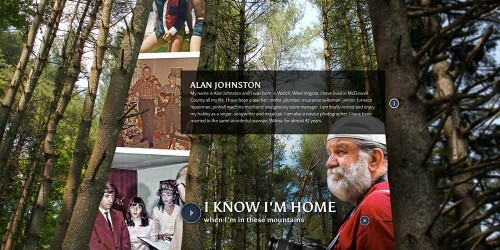 Use Facebook and create a landing pad for crowdsourced stories. With partner organizations Immigrant Nation encouraged immigrants to tell their stories. Facebook then became a sounding board for the best of these crowdsourced stories. Use images on social posts. Facebook audiences crave “images that are striking and profound.” Many of the immigrant stories feature beautifully honest photos of ancestors and family members. These images are strong currency to attract social media audiences to personal stories. Gerald Holubowicz shared some insights based on his recent work on two interactive documentaries: MONEYOCRACY – a transmedia project about the influence of money in US politics and GROZNY NINE CITIES – an interactive documentary that explores specific aspects of Grozny’s aftermath by considering them as “cities” hidden within Grozny. Take inspiration from game mechanics. 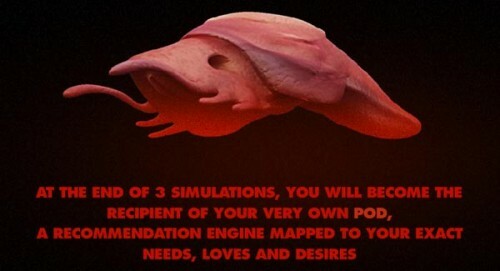 These are very mature and game creators know how to use them to keep audience attention. Build real time/agile storytelling into your project. New media companies like Buzzfeed and Vice get it. They are tracking everything and change content accordingly. Think about how you can incorporate this into your narrative and user experience. Work with collaborators who already have a built-in audience. This means you don’t have to start from scratch building your audience. Tell a compelling story. All technology, user interaction and distribution decisions must be subordinate to the story. Take a long, hard look at how these decisions serve the story. Lean on established media forms. Films have a three act structure. Novels grab you with an opening sentence. Journalism leans heavily on interview techniques. Having clear antecedents in older media forms can make new media easier to follow and stronger in storytelling arc. Break up content into small shareable pieces. Create content with unique URLs that can be passed around on social. Avoid big monolithic (non-chaptered) experiences. Build narrative experiences for different types of users. The team at Campfire talks about thinking of your audience in terms of skimmers, dippers, divers. Skimmers are users who are only going to visit once, or just interact with the story on social. Dippers are users who will visit a few times. Divers are your super fans. Think about how you can push users through this funnel. How do you encourage Skimmers to become Dippers and ultimately Divers? The mobile user experience is key. Most users will experience your work first on mobile (via a social post) and if your project doesn’t have a meaningful mobile experience then you have failed. Use social as part of your narrative. If you are only using social to update your followers on the progress of the project you are missing out. Use social media as yet another channel for your narrative to play out. Launch, Analyze, Adjust. Even a vanilla installation of Google Analytics can give you insights into specific events. So during beta or after launch analyze these events and adjust your user’s narrative experience accordingly. When the project launches, the work actually begins. Don’t think like a traditional filmmaker – once it’s launched it is most certainly not locked. Work towards standards. Look at other successful interactive projects and try and repeat some of the most useful design and narrative elements. As we take inspiration from each other, standards will emerge, and audiences will have mental models of what to expect in interactive media. Create moments of magic. Don’t forget about making something beautiful, you are telling a story filled with dramatic highs and lows. Think about the overall user experience as part of your narrative. There should be elements of surprise and intrigue in the experience. These elements may not be found or understood by every user, and that’s ok.
One final common theme we heard when speaking with creators was the lack of truly critical analysis for this type of work. These forms are still so new that we don’t have the benefit of critics who can challenge things. Our goal with this report is to only enumerate best practices, but to begin a critical discussion of this new work through this lens. We welcome your comments below, and look soon for a section of reviews on www.storycode.org. Michael Epstein and Mike Knowlton are volunteer chapter heads with StoryCode, an expanding movement to explore new storytelling techniques in the digital age. Every month, in chapters around the world, StoryCode sessions feature compelling authors, producers, and developers of new media stories. Michael Epstein is the founder of Walking Cinema, an interactive studio specializing in participatory media production for the museum and broadcast industries. He is also a Senior Lecturer at the California College of Art. 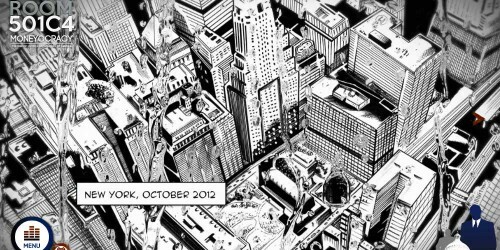 Mike Knowlton is a creative technologist and co-founder of Murmur, a studio pioneering next-gen storytelling. Murmur was part of the team that helped create Immigrant Nation.